Saint Augustine once declared that the world is a book, and those who do not travel read only one page. While I’m fairly familiar with the tome, one glaring omission in my scholarship had been the the chapter on Scandinavia. Thankfully, the wonderful world of on-demand jet charter provided a northerly flight opportunity last month, so I packed my bag and headed for LAX. The assignment? 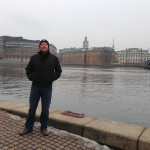 Airline to Stockholm, hang out for a couple of days, and then fly a Gulfstream to New York. It’s a bit ironic for a pilot to admit that one of the things they like least about their job is flying, but when it comes to the aluminum torture chamber we generously call an airliner it’s most definitely true. There’s little joy in spending twelve interminable hours crammed into an economy class middle seat. It’s made worse by the fact that I got spoiled by my previous company, which would book business or first class seats for deadheading crew members when traveling abroad. I know, I know — cry me a river, right? Of course, the pay scale is much better at my current gig, so that’s a fair trade in my book. If I had to choose between putting big bucks into my own pocket versus that of some soul-crushing mega-airline, I’d opt for the former every time. 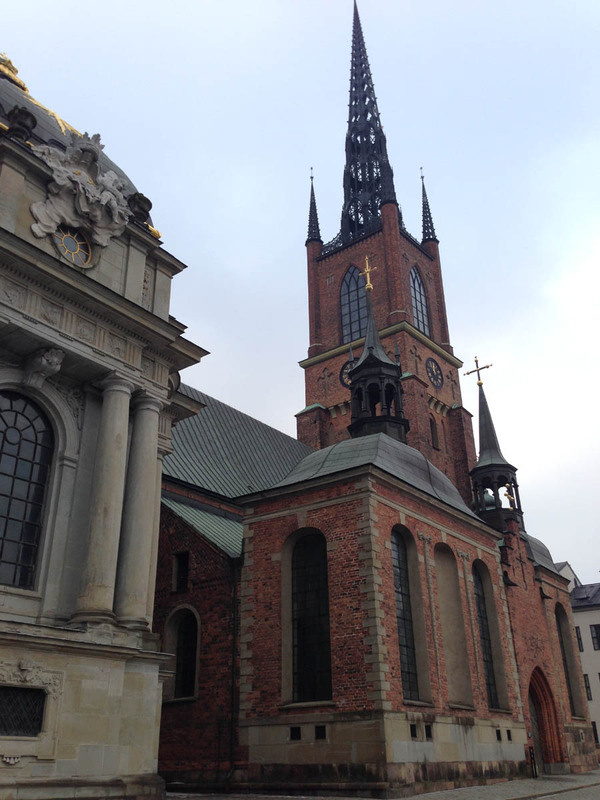 The crew pairing for this trip had me flying with a Swedish native, so I had a built-in travel guide who spoke the language, knew the town, and was excited to show off the best that Stockholm had to offer. 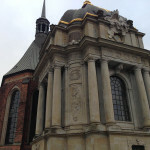 While I only spent a couple of days there, my impressions were of a remarkably clean city, albeit an expensive one. Even with stringent rent controls, the cost of living remains about 20% higher than here in south Orange County, California. 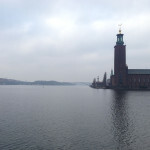 A view of the “old city” from across the river. 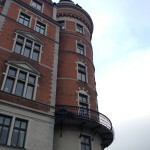 If you’re looking to buy, it’s three to six times as expensive in Stockholm. Apartments there sell for $1-2,000 per square foot. Why so high? The capital holds about 1/5 the total population of Sweden, yet it’s 2.5 million inhabitants are spread out over a series of fourteen islands of varying sizes, so there’s not much land to go around. The people I encountered were quite friendly and seemed to enjoy the opportunity to speak English. Or perhaps they simply wanted to preempt any butchering of the Swedish language by a ghastly American. Maybe both. Speaking of Swedish things, this may sound stereotypical, but many of the furnishings I came across in restaurants, hotels, and public buildings had the look-and-feel of an Ikea catalog. 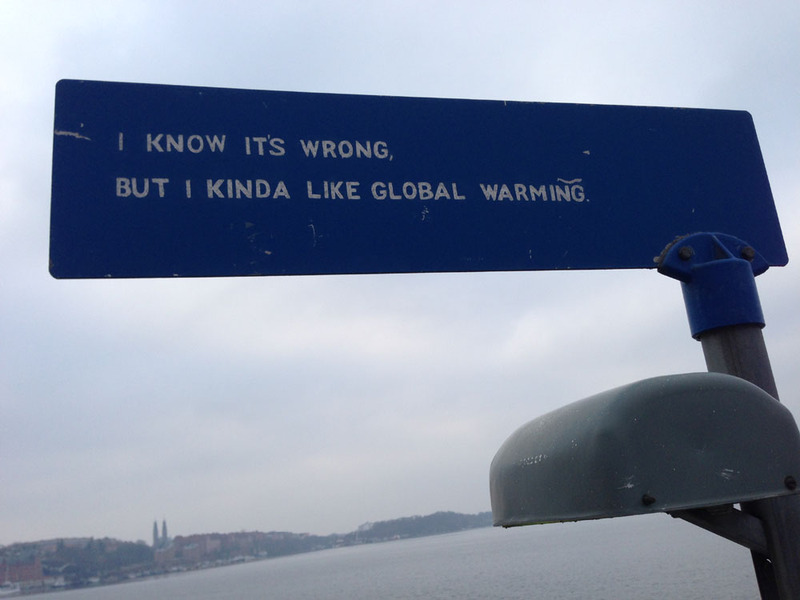 I mentioned this to a few locals and they didn’t disagree, though they were amused that I found it entertaining. 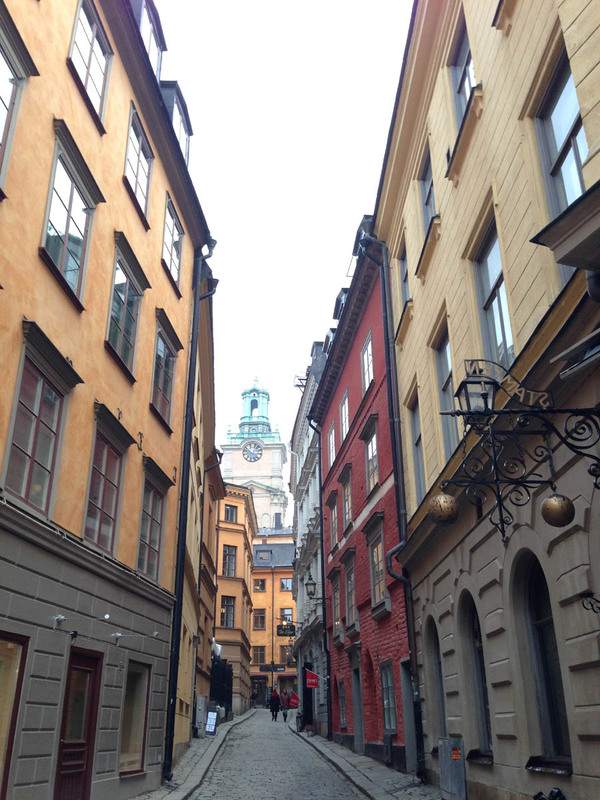 “Gamla Stan”, aka The Old City, dates back to the 13th century, and consists of medieval alleyways, cobbled streets, and archaic North German-style architecture. 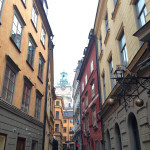 We probably walked ten miles over two days, exploring Gamla Stan (“The Old City”) and the surrounding area. Between the long hours spend motionless in that airline seat and the anticipation of another nine hours of sitting in the cockpit on the way back, it was good just to be up and moving around. 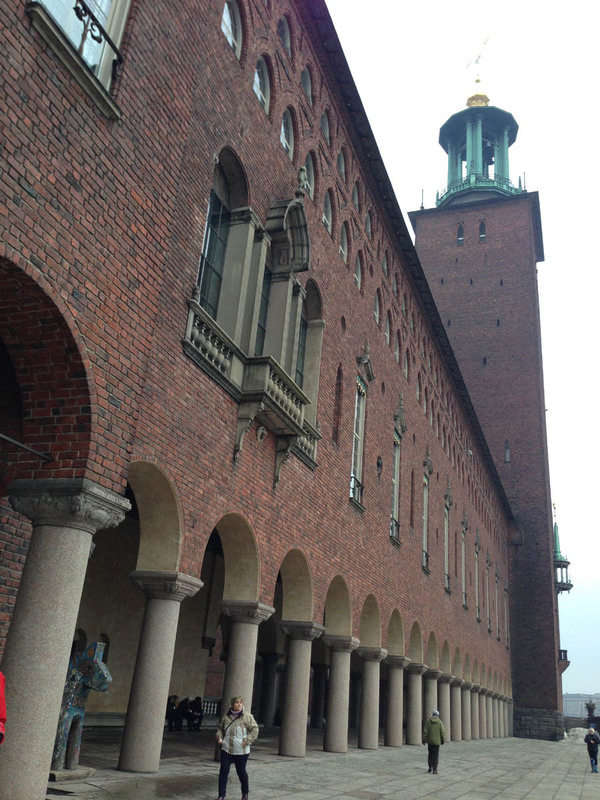 It was rare to find anyone who wasn’t fit and trim in Stockholm. This isn’t uncommon when you’re from Southern California, but there are parts of the U.S. where it would be very hard to find anyone who was in shape. I met a fellow Gulfstream pilot there and he said that when not flying, he’s primarily occupied with doing things that keep him physically fit. The weather was relatively warm for February, with the temperature hovering around 30 degrees Fahrenheit during the day. 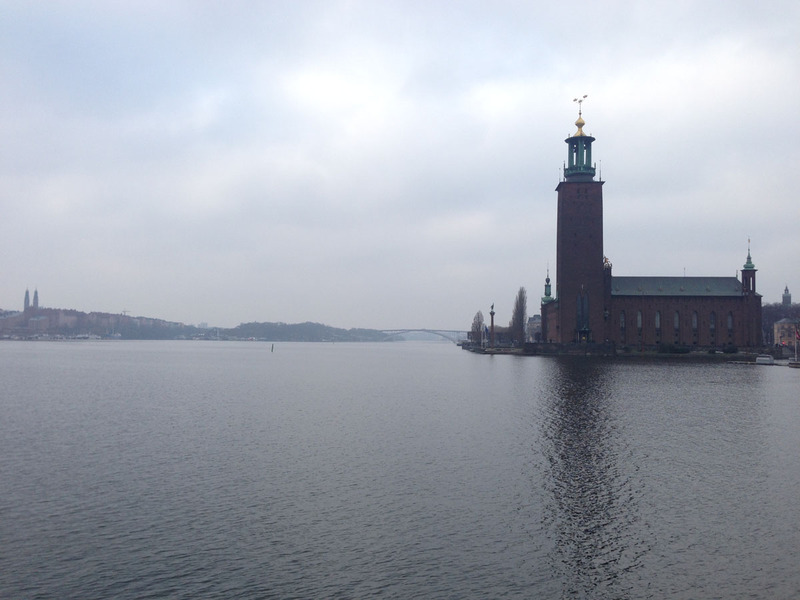 Stockholm’s close proximity to the water keeps the average high and low within 10 degrees (F) of one another. I was bundled up against the wind, but it was clear the residents considered this good weather. A surprising number of them were out exercising or enjoying the lovely day despite the presence of a stiff breeze and plenty of ice in the water. One of the countless hot dog stands that dot the streets of Stockholm. Food is an integral part of any cultural experience, all the moreso if you’re a foodie. 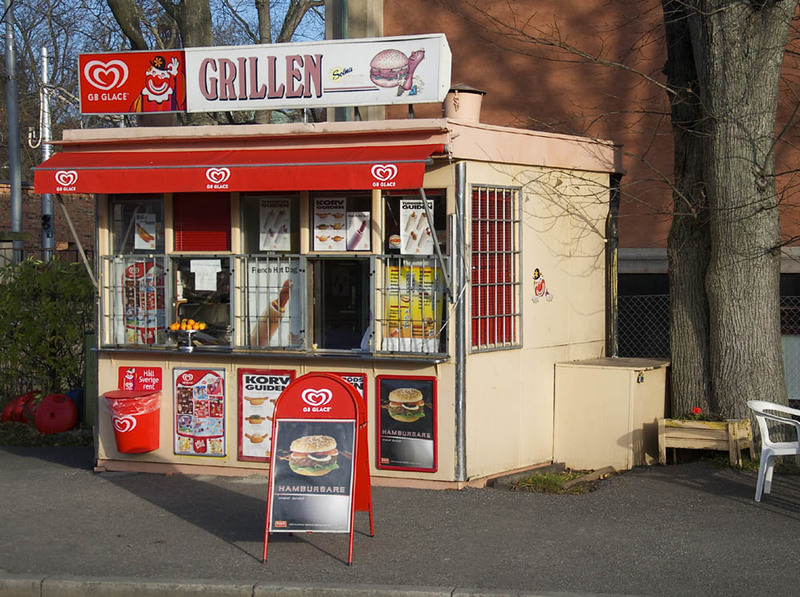 My Swedish crew mate was obsessed with the wide variety of korvkiosks (hot dog stands) which populate the city. He must have grabbed a ‘dog at three or four of them within a few hours! He also introduced me to a Swedish pastry called semla, a spiced bun filled with milk, almond paste, and topped with whipped cream. 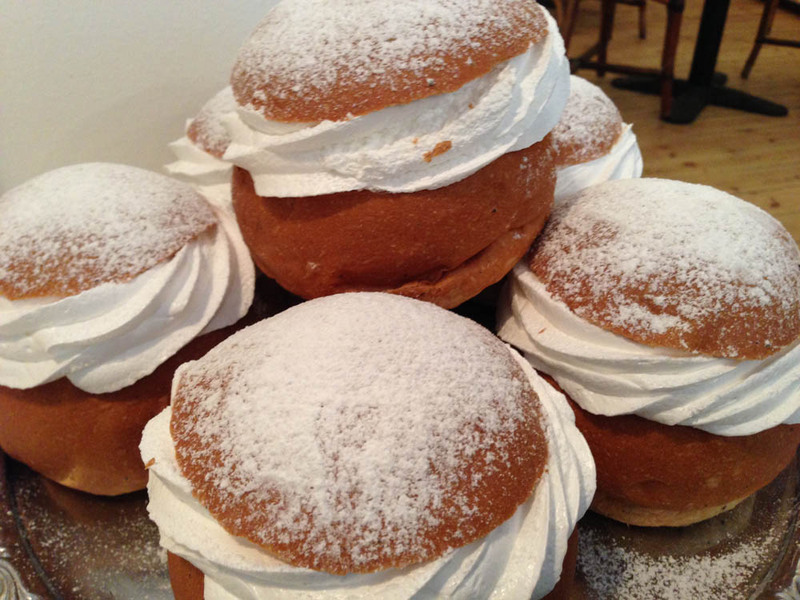 Traditionally it was served between Lent and Easter, but now they’re available for much of the year at local bakeries around town. We had lunch one afternoon at Sturekatten, a quaint cafe which was more about the ambiance than the food. That’s not to say the vittles were unsatisfactory. Quite the opposite; the salmon soup was a perfect balm for the cold, windy day outside and was more than hearty enough for a meal (take that, Bania!). But the place feels like walking into your grandmother’s apartment, from the age-old furniture to the kitschy, mismatched decor. The average age of the patrons didn’t belie the feeling in the slightest. It even had that vaguely mothball-esque scent which is often found in the geriatric home. 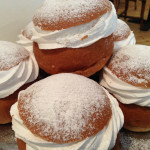 I was introduced to semlor, a Swedish pastry which is popular around Fat Tuesday. 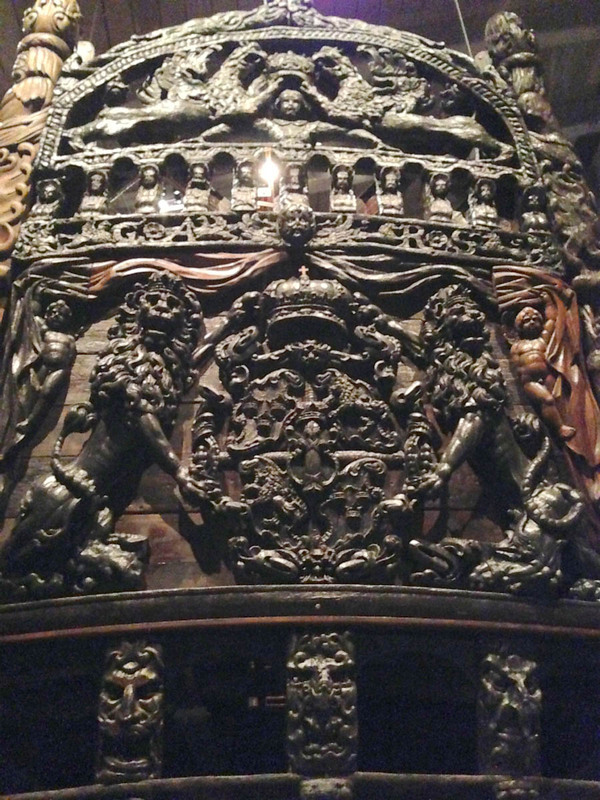 The tour continued the next day with the pièce de résistance, the Vasa Museum. 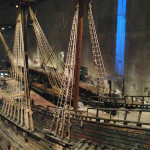 It was the first thing my wife mentioned when she heard I was headed to Sweden: “be sure to visit the Vasa!” The institution is built around a single object: an early 17th century Swedish warship which sank on its maiden voyage in 1628. The wreck remained underwater for 333 years before being was raised in 1961. 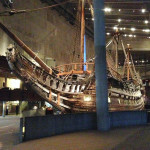 The vessel was almost completely intact, and today it majestically rests in a massive climate-controlled building in Stockholm. 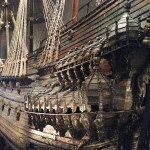 When the phrase “they don’t build ’em like they used to” was first uttered, it may have been the Vasa they were talking about. More than 95% of what is on display is original. The secret to her survival was the condition of the water. Massive pollution killed off the wood-eating microorganisms which would normally have consumed the ship. In fact, the melange was so perfect that after three centuries, all but the most delicate objects were at least partially preserved. 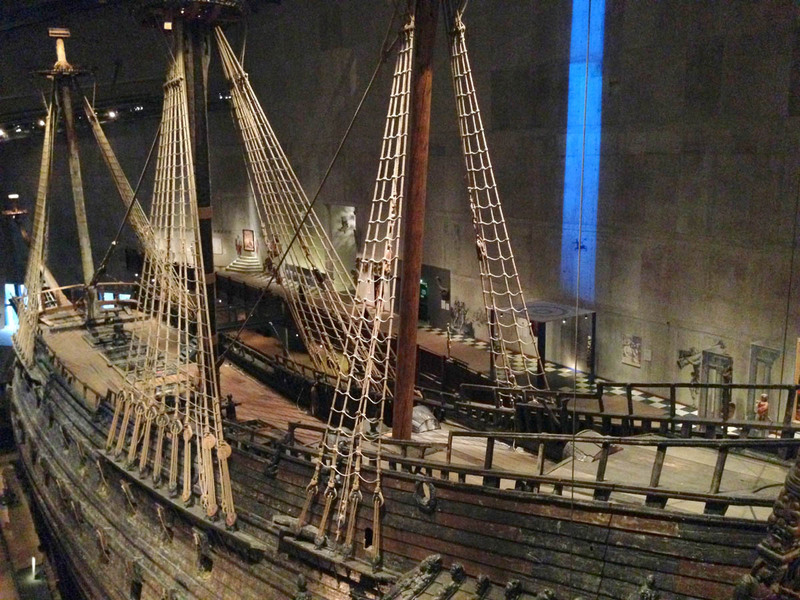 Sails, masts, rigging, clothing, even brain matter the skulls of those who went down with the vessel. 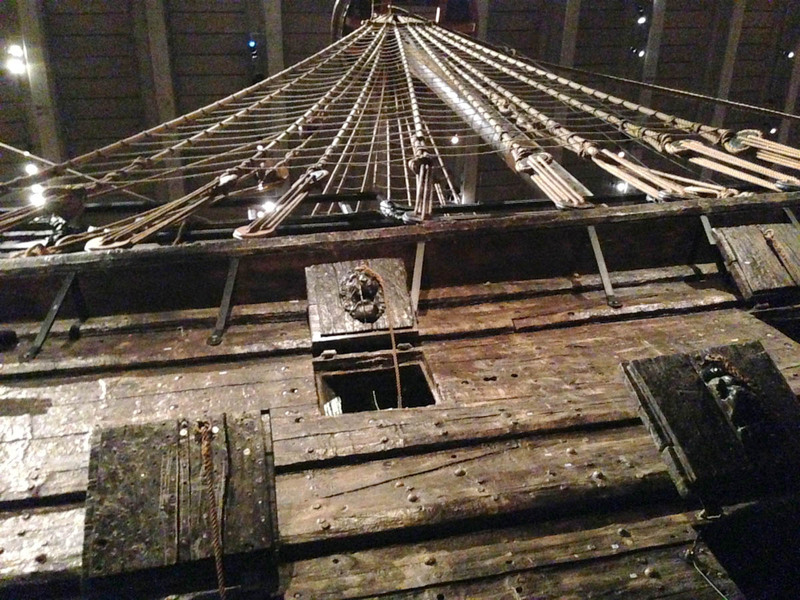 More than just a ship, Vasa provided countless insights into how people lived during that period. 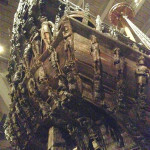 Just as interesting as the Vasa itself is the story of her preservation. Once pulled from the water, the wood began to dry out and if left untouched, it would have quickly disintegrated as the planks contracted and split. 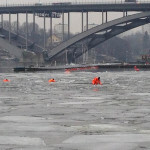 The solution was to spray the wreck with a polyethylene glycol in order to displace the water and stabilize the vessel. This spraying continued for more than seventeen years. 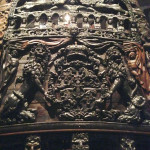 Even today, preserving the Vasa is an ongoing challenge, one that the curators themselves will tell you is a losing battle. One display admitted that it will not be possible to keep the ship intact forever. 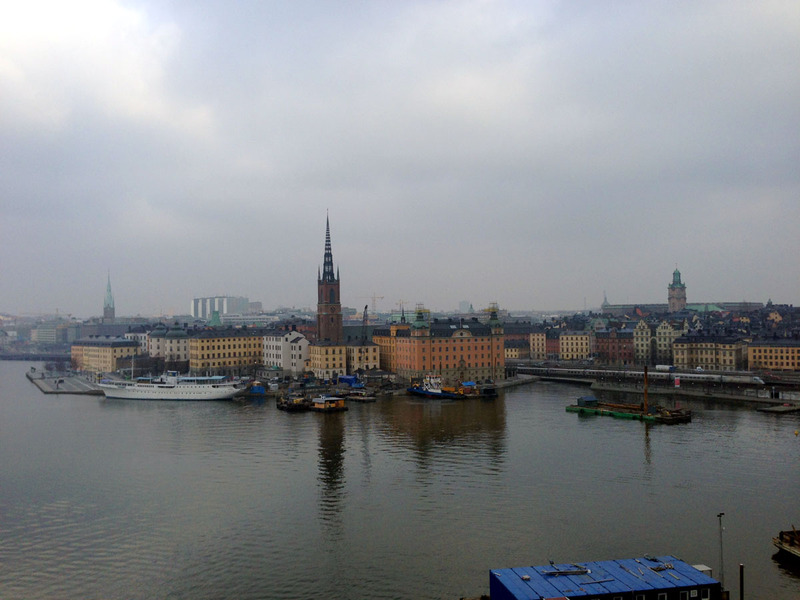 Our final day in Stockholm was more about resting up than anything else. As with many ocean-crossing flights, we were scheduled to depart at 11:00 p.m. and arrive in New York just after sunrise. At nine-and-a-half block hours, this flight was about as long as any you’d want to make in a G-IV unless your goal was to see how it performed as a glider. We landed with plenty of fuel, but a blown wind forecast (no pun intended) and the use of an alternate can eat up the reserve in a hurry. Of course, that’s why we carry it! The flight ended up being smooth and uneventful. I like the northern route because you spend less time hassling with the prehistoric HF radios since VHF coverage exists for most of the trip. We handed off the aircraft to another crew, who were continuing the flight to the southern states, and retired to our hotel for a much-needed nap. 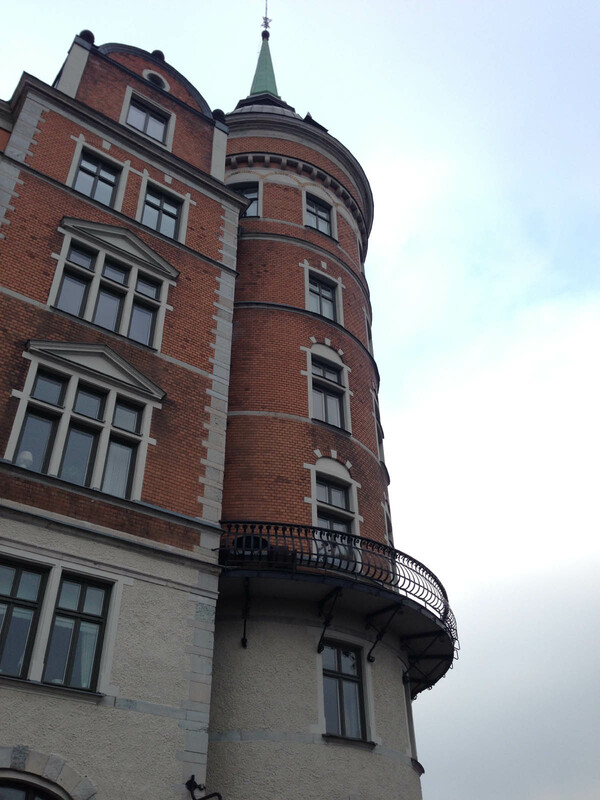 I enjoyed Sweden immensely. 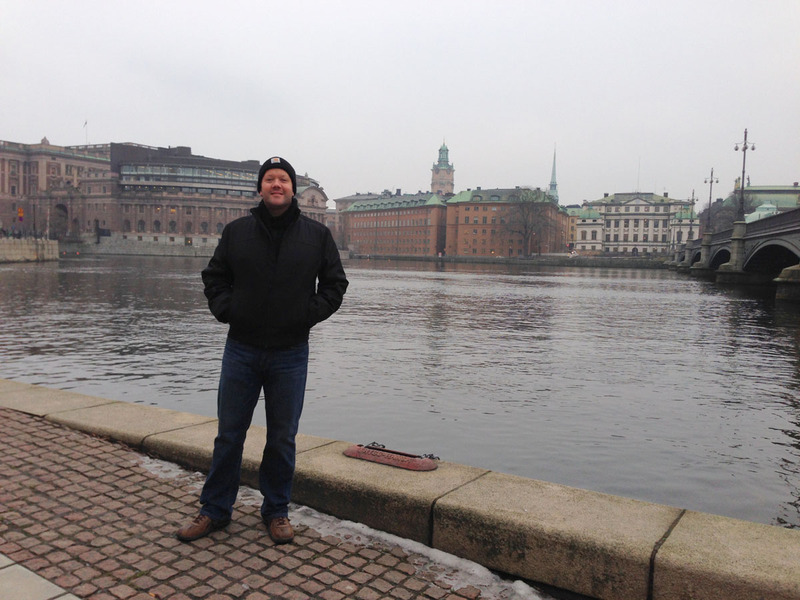 With any luck I’ll be back soon to continue exploring the treasures of Northern Europe. 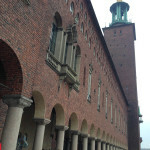 Stockholm City Hall is best known as the setting for the annual Nobel prize ceremony. City Hall as seen from across the river. It was a cold gray day (~30 deg F) to me, but pretty warm by local standards. 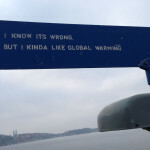 The Swedes are know for being green, but they do have a sense of humor about it. 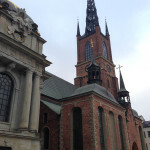 Riddarholm is one of the oldest buildings in Stockholm, and is the burial site for many Swedish monarchs. 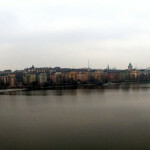 A panoramic view of Stockholm. The town is spread out among a series of islands. 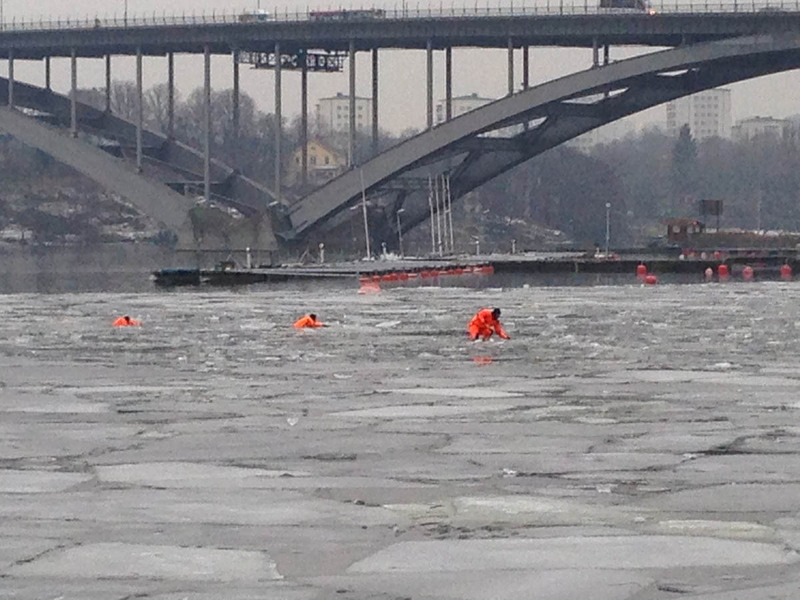 We saw a number of first-responder types running some sort of exercise among the ice flows in the water. I don’t care what you’re wearing, that’s gotta be cold! Yours truly, bundled up against the wind and rain. For most locals, this seems to have been a spring-like day. Lots of folks were out jogging. 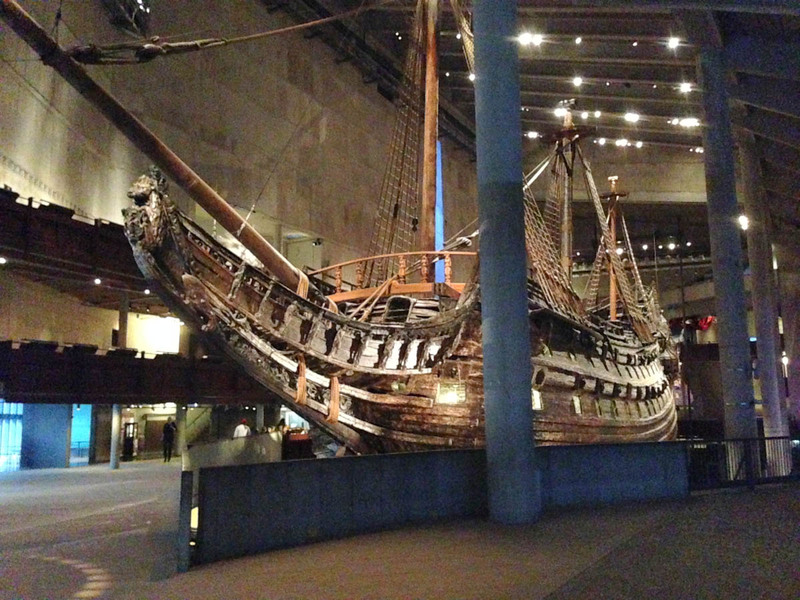 One of the highlights of the trip was a visit to the Vasa Museum. 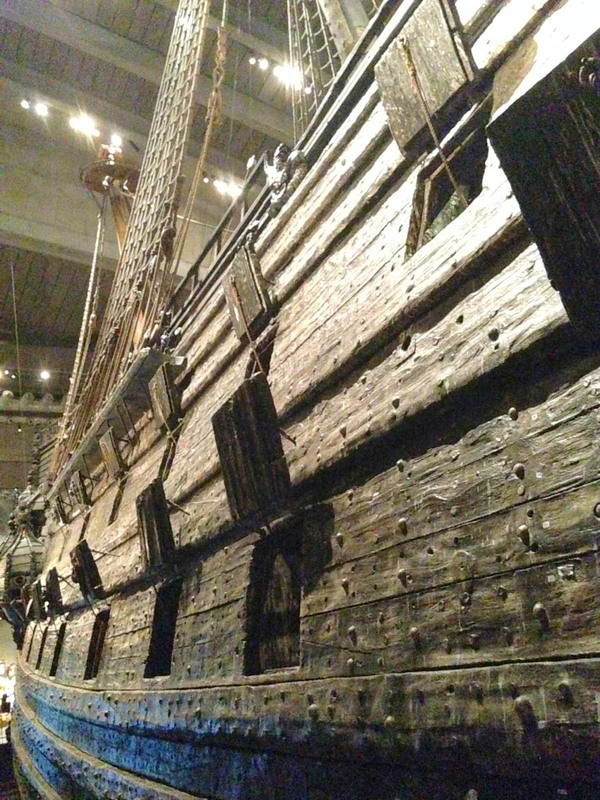 This ship sank in 1628 and was not raised until 1961. Yet 99% of the ship is original! 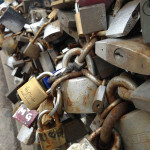 Imagine how beautiful this would have been when it was freshly painted. Some of the color can still be found on the ship in certain places. 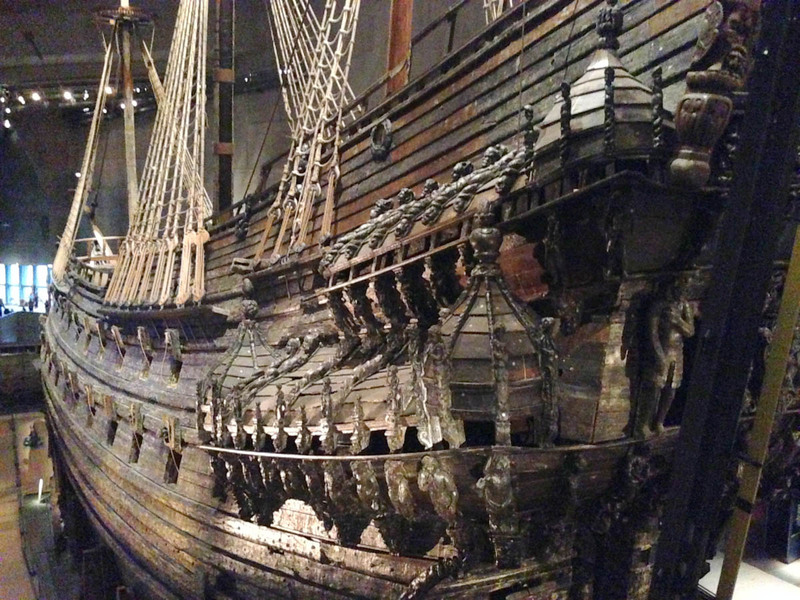 The 17th century Swedes may not have designed the perfect ship, but there’s no denying a lot of craftsmanship went into this vessel. 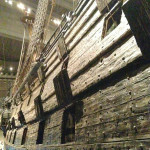 The ship was preserved by continually showering it with a glycol solution for many years. The water was displaced from the wood, allowing it to dry without cracking. 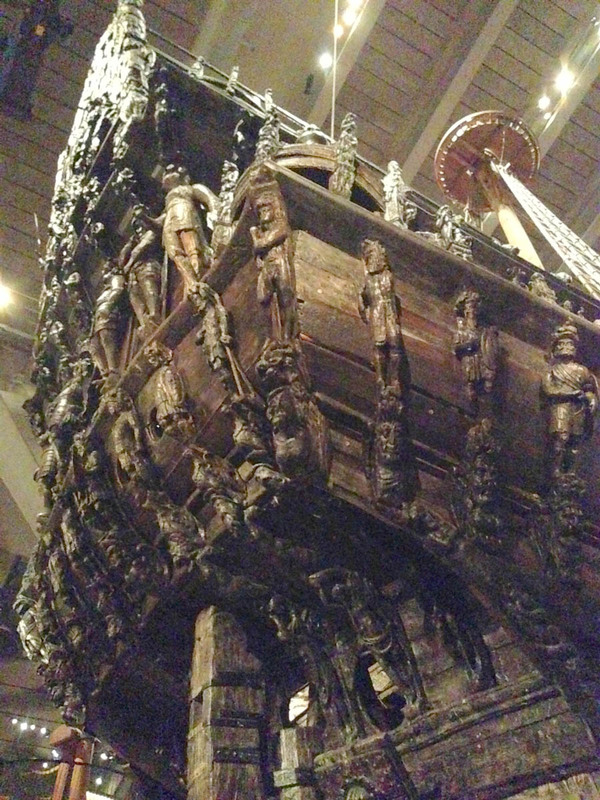 The Vasa sank because the King ordered a second gun deck added, which made it unstable and top heavy. 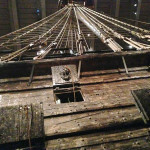 It took on water through the lower gun ports when it listed in the breeze. 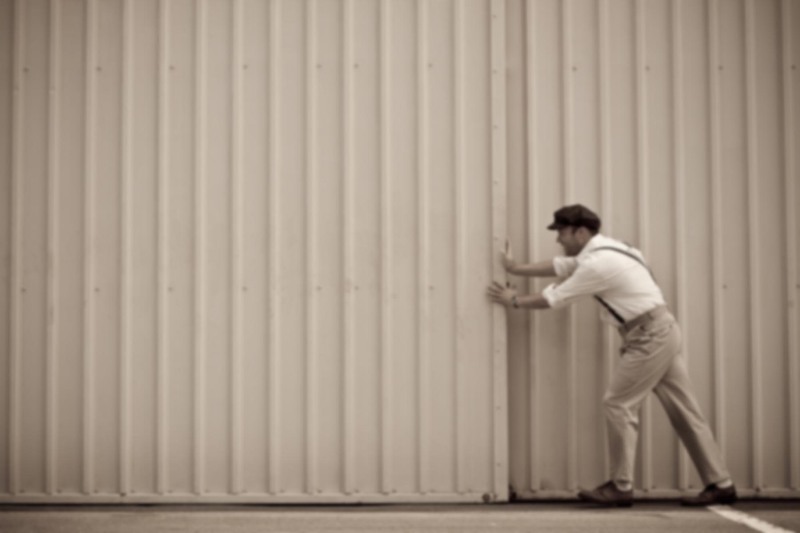 Seeing the world is undoubtedly one of the major attractions to this line of work. 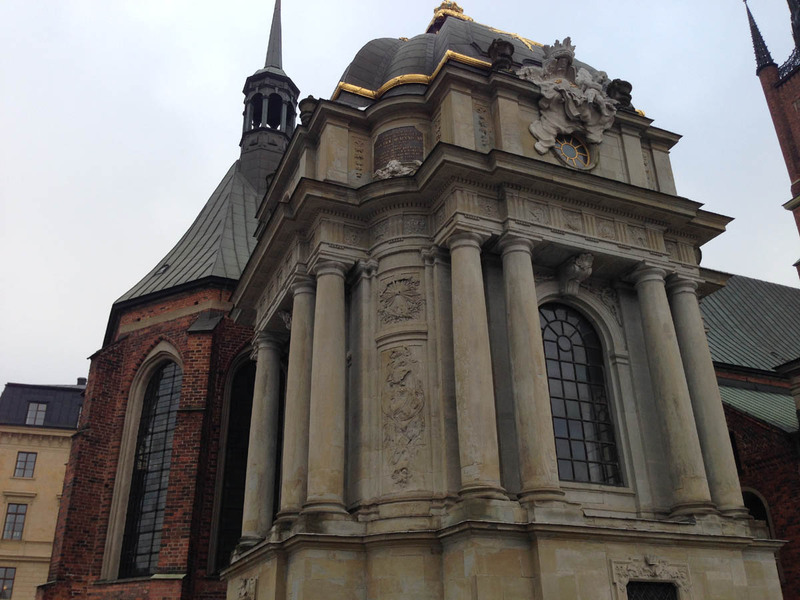 Of course, I’m only posting the interesting locales, and we don’t always get time to do much exploring. It just depends on what the customer wants. 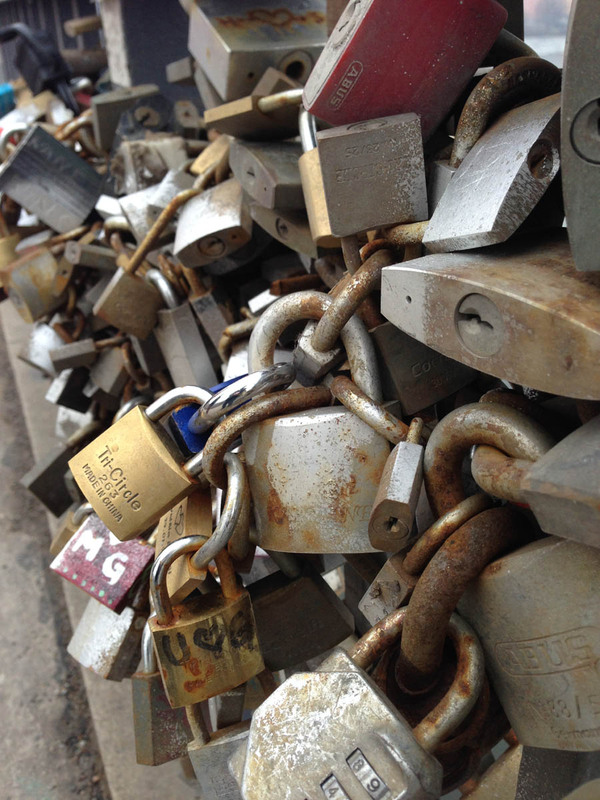 This trip was perfect because being paired with someone who knew the city intimately meant I’d get the highlights without feeling too much like a tourist. And I was able to meet some very nice Swedes. Everybody there is extremely friendly. Sounds like the trip was worth putting up with flying steerage in those human mailing tubes. Thanks for sharing it with us in such great detail. 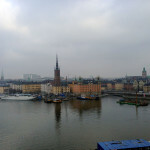 I’d like to visit Stockholm in summer. Everybody apologized for how dreary it looked, but I enjoyed going someplace where they have actual seasons. In southern California, we don’t always get a sense of seasonal change. Even 70-and-sunny can get old after a while!